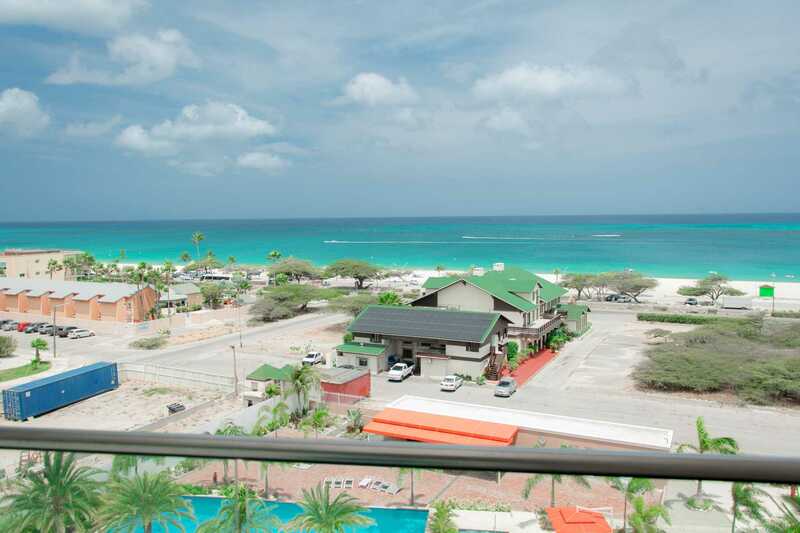 It’s not hard to see why the fabulous Teal View Two-bedroom condo is an amazing luxury vacation rental accommodation in Aruba. 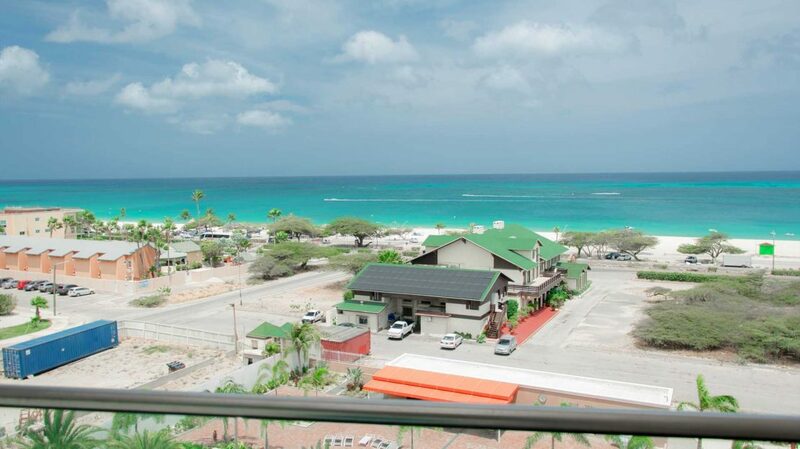 It is located at the LeVent Beach Resort Aruba, the newest vacation rental resort on the island of Aruba. The views of this fifth-floor condo will surely take your breath away and it is just steps from Eagle Beach! There is a balcony stretching across the living room and master bedroom with tropical views of the resort’s luscious landscaping and the beach. The balcony is completed with a 4-seat dining table and a lounge chair to relax and enjoy the Caribbean turquoise ocean views. This condo is tastefully decorated in all shades of blue with contemporary furnishings, so you can enjoy a soothing vacation. The open plan living area is provided with a large TV, a sofa-bed (with a double-size mattress), a chair (that can be converted to a single-size sofa bed), a 6-seat dining table and a full-sized fully equipped modern kitchen with 4-barstools. The entrance corridor lends access to a half bathroom. There is also a washer and dryer available for your comfort. The master bedroom has a king-size bed, a TV, built-in closets, a chair and access to the balcony with stunning views. Master bedroom offers a full modern en-suite bathroom. The second bedroom has a queen-size bed, a TV, and built-in closets. The second bedroom also offers a full modern en-suite bathroom. This unit provides you with 1,300 square feet of living space, a code-lock safety box, free unlimited high speed WiFi, cable TV and three flat screen TV’s (in the living room and each bedroom). This unit is located on the left corridor off the elevators on the sixth floor. The facilities of LeVent Beach Resort Aruba include a spectacular resort swimming pool & jacuzzi, a children’s pool & playground, a communal alfresco dining space with BBQ-grills, an outdoor sink and ice machine, an outdoor fire pit area, several lounge areas, a gym (coming soon), an on-site mini market, free parking space and a communal Sunset Rooftop area to enjoy Aruba’s tangerine sunsets. 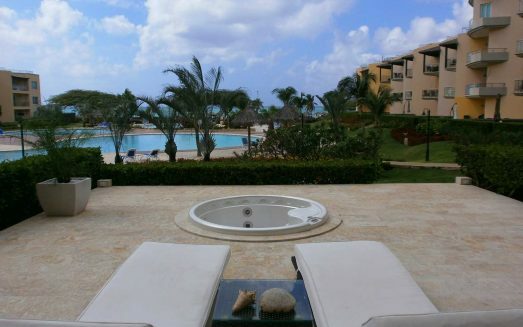 Enjoy the tranquility of the resort with its luxurious furnishings and luscious tropical landscaping. 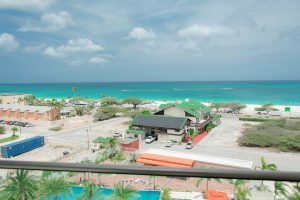 LeVent Beach Resort Aruba, the newest luxury vacation rental resort, is located just a few steps away from the world-famous Eagle Beach, well-known for its 50-yards wide pristine soft white sand, turquoise waters and breath-taking sunsets. Several water sports companies, beach bars and restaurants, and a supermarket (Super Food Plaza) are just a few steps away. Come and enjoy your well-deserved vacation right here and create some wonderful memories! 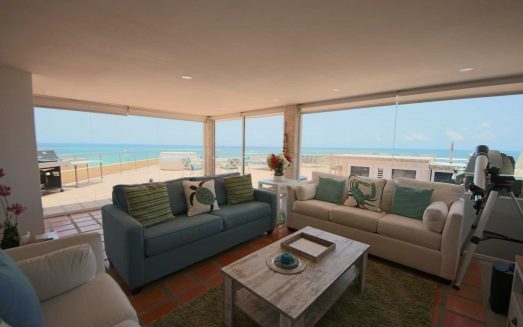 The Teal View Two-bedroom condo is perfect for families or a 2-couple getaway! 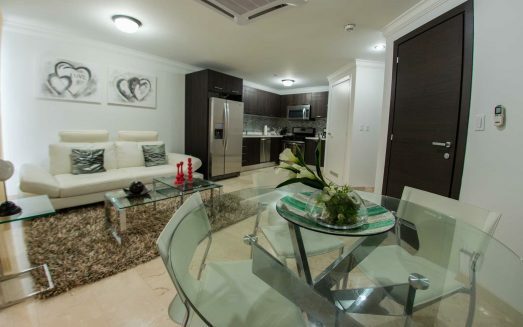 Introduction rental rate for all our LeVent Beach Resort Aruba properties!